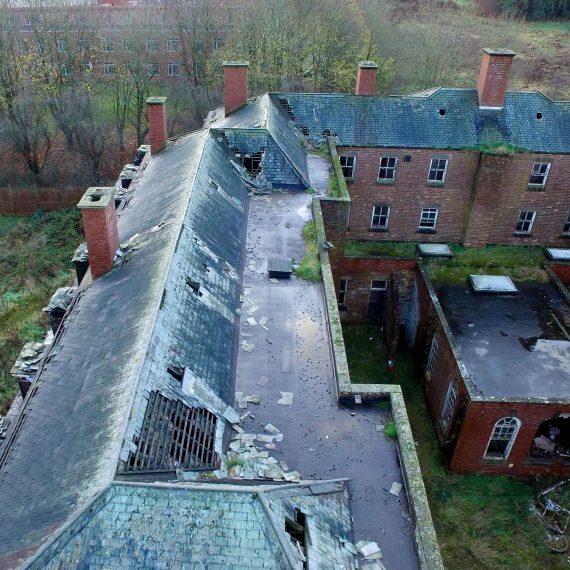 In 2007 BSG Ecology was appointed by Bellway Homes (North East) Ltd to provide ecological advice regarding the future development of the disused St Mary’s Hospital at Stannington, Northumberland. A comprehensive assessment of the site revealed that the many buildings supported numerous bat roosts. A mitigation and compensation strategy was developed by BSG Ecology to ensure that progress could be made with the development of the site, and that the conservation status of bats would not be adversely affected. We used a quadcopter drone mounted with a high definition camera to inspect the roof of the building. This allowed a much safer examination of areas that otherwise presented a serious risk to health and safety. Still images and video footage were collected and used to assess the status of the building. These clearly showed that extensive sections of the roof were no longer weatherproof following the progressive deterioration of the building. Inspection of the boxed eaves revealed that there was extensive rot-related damage. We were able to support our conclusion that the bat population was depleted because of the building’s worsening condition. The extra evidence was used positively in helping to secure planning permission, and in securing a subsequent development licence from Natural England. Following the grant of planning permission in 2010, we were re-appointed to secure the development licences required to facilitate the phased development of the site. As the development has progressed some buildings have been demolished and the resident bats have been accommodated elsewhere on the site. The four storey former nurses’ accommodation block was originally identified for conversion as one of the last phases of the development. 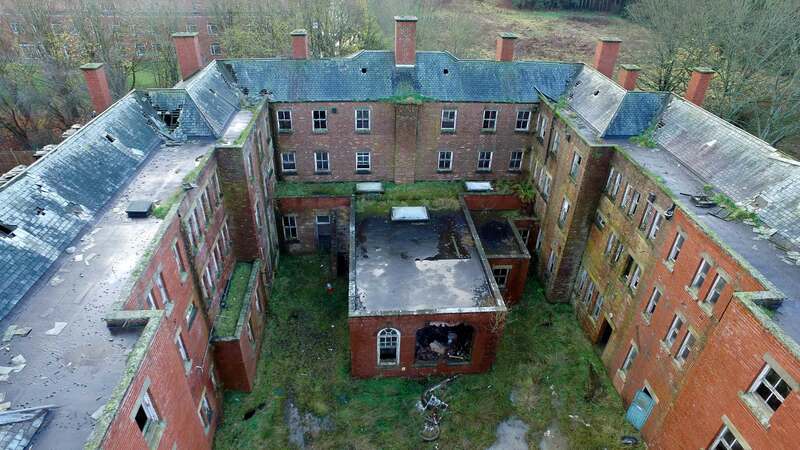 During the surveys carried out in 2006 this building was identified as being important for several bat species: common and soprano pipistrelle and brown long-eared bat. Roosts were identified including brown long-eared maternity and feeding roosts, and pipistrelle day roosts and hibernation sites. 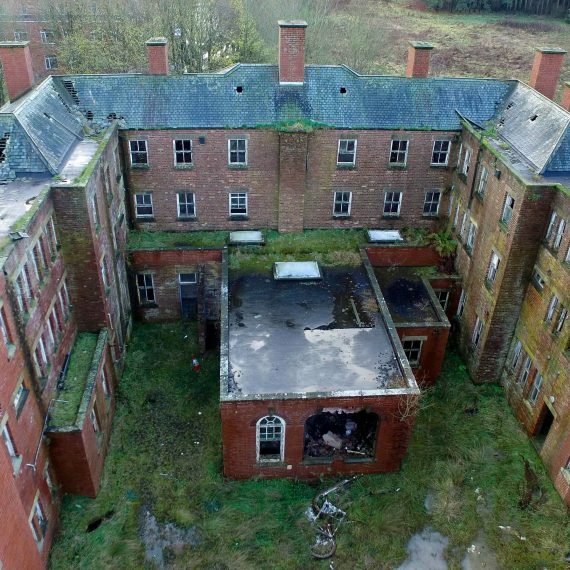 Despite the presence of security fencing around the hospital site and resident security guards, trespass, theft and vandalism have been common occurrences at the site since the hospital was abandoned in 1995. 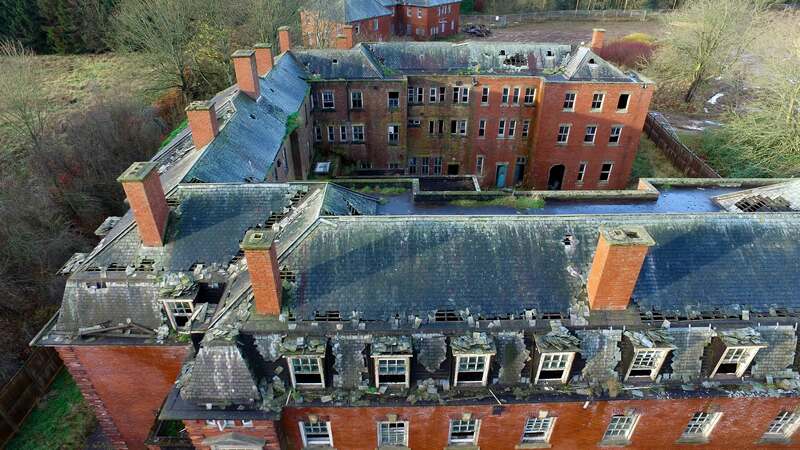 As a result the condition of the nurses’ accommodation building deteriorated following the theft of lead from the roof, after a fire in one wing of the building and during multiple storm events. Water penetration was extensive, and ultimately resulted in weakening of the roof structure. Previous surveys had identified brown long-eared bat roosts in the loft area of the nurses’ accommodation, but by 2015 it was no longer safe to access this part of the building. 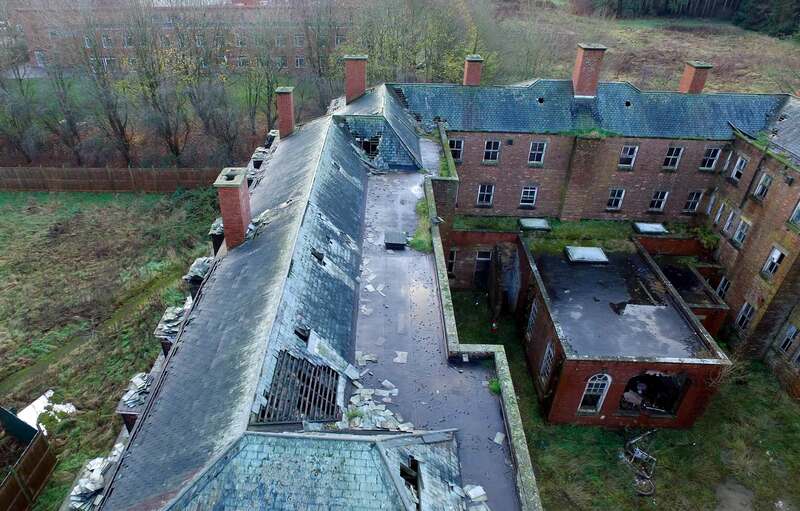 When Bellway Homes decided that their preferred option was to demolish the nurses’ accommodation block and redevelop the site, BSG Ecology carried out a re-survey to establish the current status of the building for roosting bats. As internal access was now limited and the height of the building made external inspection very difficult, a different survey strategy was required. Images collected during the drone survey clearly illustrated the situation and reinforced the conclusions of our assessment about the status of bats and the reason for their diminishing use of the building. Our work was accepted when the assessment was submitted in support of a planning application, which was duly granted. 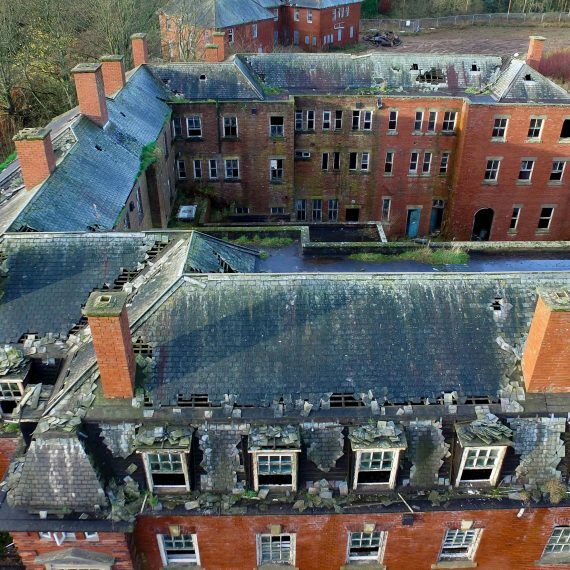 In addition, the survey data were used to help secure a Natural England development licence to permit the exclusion of bats prior to the demolition of the building. The building has now been checked for bats and the necessary soft demolition works carried out under licence. Our involvement has now progressed to the monitoring of the new roosts that have been provided throughout the site.